The ‘Barker Universal’ is a handheld electric massage apparatus. 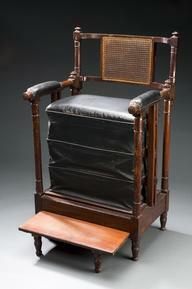 Like many early massaging devices, it was used for a range of physical and emotional complaints. 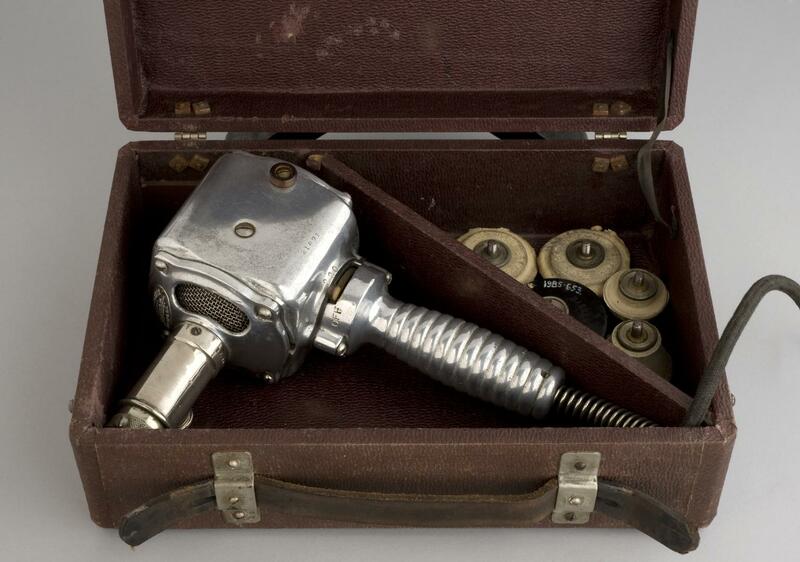 Electromechanical vibrators such as this became consumer products in the second half of the 1800s. 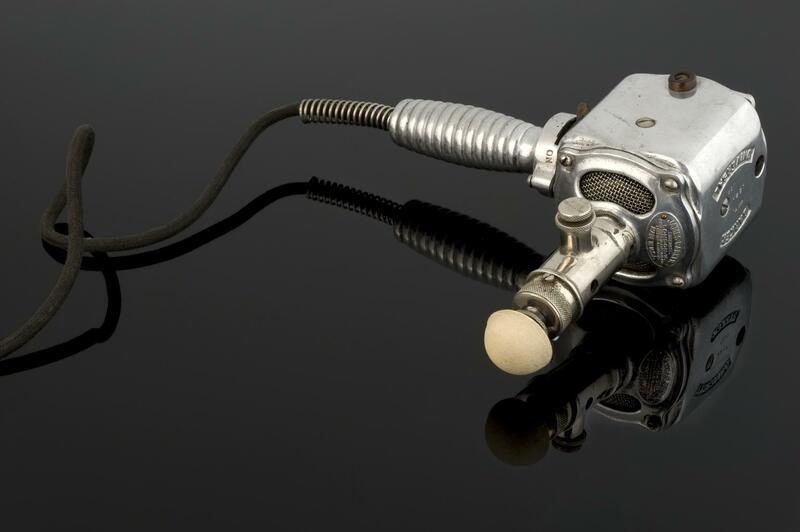 Such devices originally treated women diagnosed as “hysterical”. They were initially only used in doctors’ surgeries. The sexual use of such machines was not overtly publicised. However, it was a major part of their appeal. This example is made of aluminium. It comes with five interchangeable heads. It was probably originally ordered for home use via a mail order company. The international nature of this product indicates its wide appeal. It was made in the US, supplied by James Barker of London, and patented worldwide in the early 1900s.